Irma Thomas is scheduled to perform at June 30's Rock & Rouge Festival. Photo by Noe Cugny. On June 16, a brand new festival celebrating the empowerment of women in the community is coming to New Orleans Jazz Museum at the Old U.S. Mint. 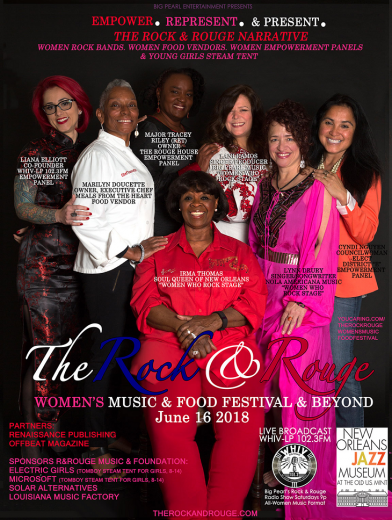 The Rock & Rouge Women’s Music & Food Festival and Beyond’s story begins as the brainchild of Lani Ramos, a local recording artist, radio deejay, businesswoman and founder of Big Pearl Entertainment among many other titles. On one balmy afternoon in April 2017, Ramos attended one of New Orleans’ many food and music festivals. 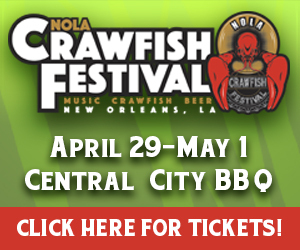 After grabbing a plateful of crawfish, she looked over the music lineup and noticed that something was missing. Out of the 25 bands and artists enlisted, only one was fronted by a female musician. Unfortunately, this distressing trend was not unique to this festival. For venues on Frenchmen and Bourbon Streets, male-fronted bands are consistently booked over female-fronted bands eight out of ten times. Ramos decided that 2018 would be the year of change, and she wanted to help lead that change at the local level. Part of that change is coming in the form of the Rock & Rouge Music & Food Festival & beyond. Ramos will host the opening of the festival, where she will present female entrepreneurs whom she and her team believe are helping to lead the change in the public sphere. The festival’s main stage will boast a lineup of “Women Who Rock,” headlined by New Orleans’ own Soul Queen, Irma Thomas, along with female-fronted artists including The Vettes and Big Pearl & The Fugitives of Funk among others. Other activities on-hand include food stands serving dishes from local female chefs; Shine On, an onsite salon emphasizing beauty from the inside out; What’s Next, female empowerment panel discussions that focus on STEAM (Science, Technology, Engineering, Art and Mathematics), politics and the future of women in music; and the Tomboy Tent for children aged eight to 15, which includes STEAM workshops for young girls and a performance stage for junior female-led bands. 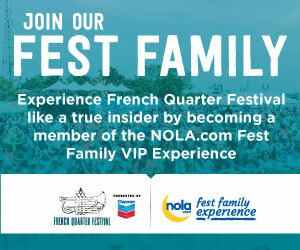 Additional information can be found on the festival’s homepage. Admission is free and open to the public.